Recommendation: CFS Fire Protection, Inc. provides a Great Service, I highly recommend them. They are very nice guys, provide prompt service and are very professional. It was once again time for our Annual Fire Extinguisher and Kitchen Fire Suppression System Inspection. 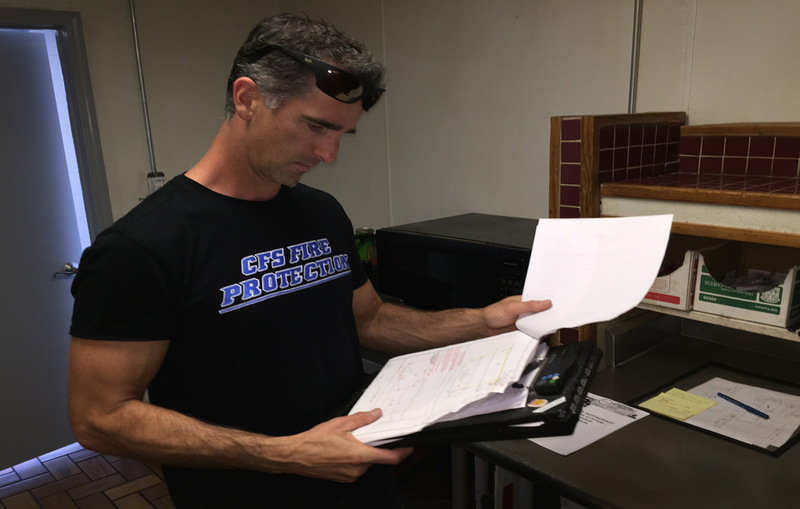 CFS Fire Protection, Inc. came in on schedule and did the Inspection, Maintenance & Certification for our Restaurant today and as usual, they did a great job and we hardly noticed they were there with us as we ran our restaurant. CFS Fire Protection, Inc. provides a Great Service, I highly recommend them. CFS Fire Protection, Inc. Fire Protection Inspection, Installation, Maintenance and Fire Code Compliance Certification Services for Fire Extinguishers, Restaurant Kitchens, Food Trucks, Concession Stands, Fire Hydrants and Commercial Sprinkler Fire Suppression Systems in, near and near by Santa Cruz, California 95060. If your Business is located in Santa Cruz California and You Need Professional Fire Code Protection, Inspection & Certification Services, Give Us a Call (866) 584-3473. We have all the Fire Protection Services Your Santa Cruz Business Needs to Get and Stay Fire Code Compliant!